Annette and I had the wonderful opportunity to travel to Louisville, Kentucky this weekend. Chris and Donna Mooney from Bethel Ministries International in Guatemala were in town to speak at local supporting churches. (Bethel is the ministry that Mission: Mobility provides equipment to) The weekend was filled with wonderful fellowship. Thanks to Brad and Holly Clark for hosting us, and the Mooneys. 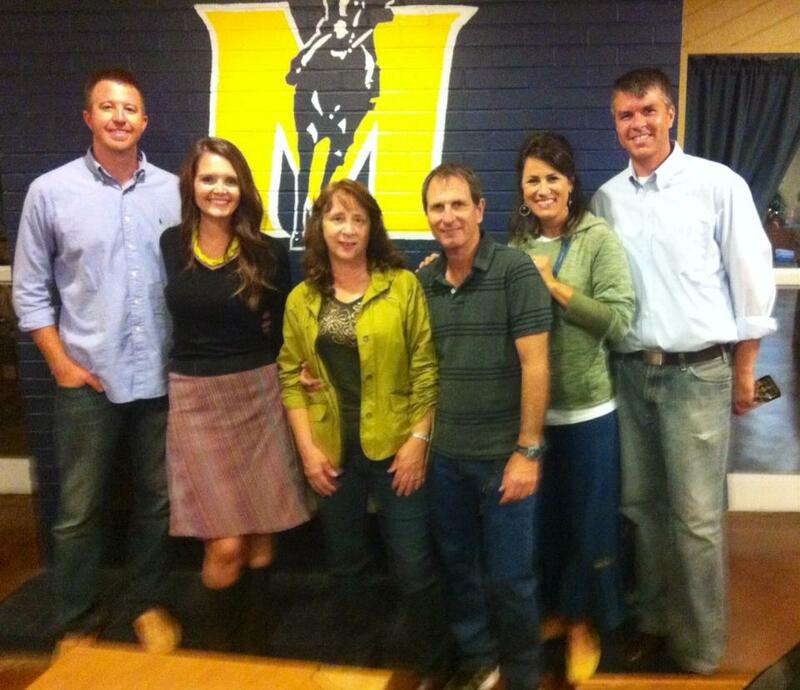 It was great to spend time with these dear friends! The weekend was filled with gatherings and events so Louisville folks could interact with the Mooneys. The crescendo to our awesome weekend was Monday morning. 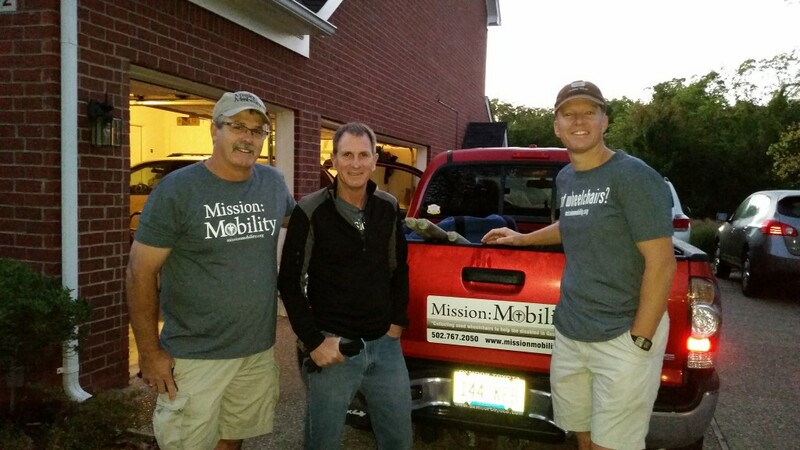 Brad is a cornerstone of Mission: Mobility!! 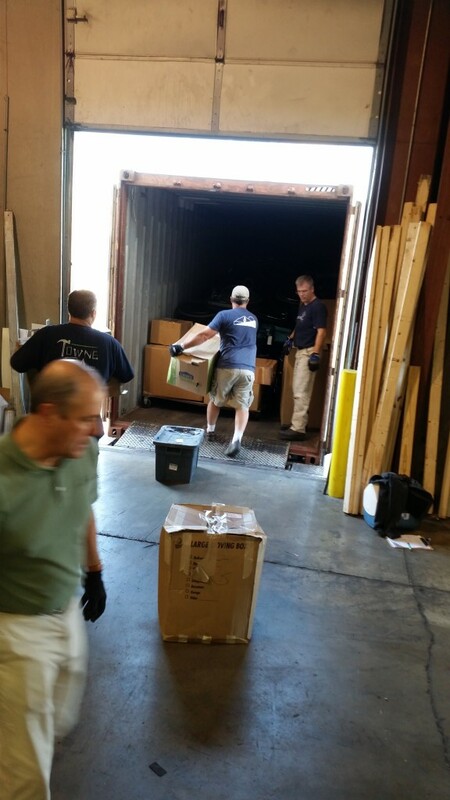 He finally had enough equipment collected to send a container. 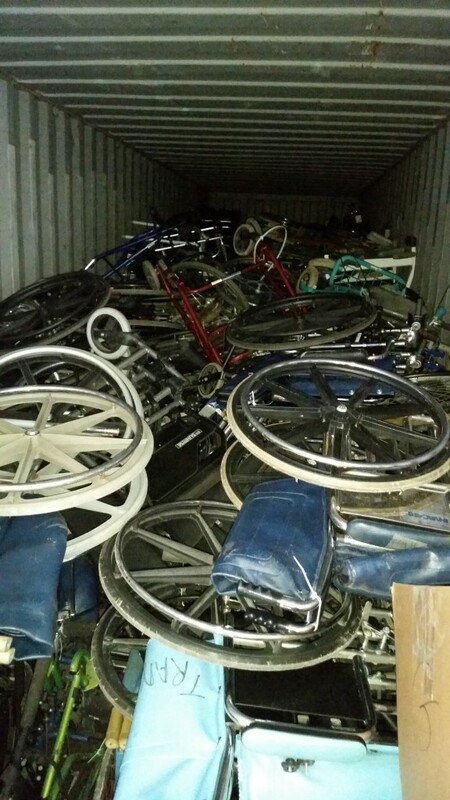 No stranger to wheelchair collection, in years past, Brad had sent 2 containers. This was his first as a part of Mission: Mobility. 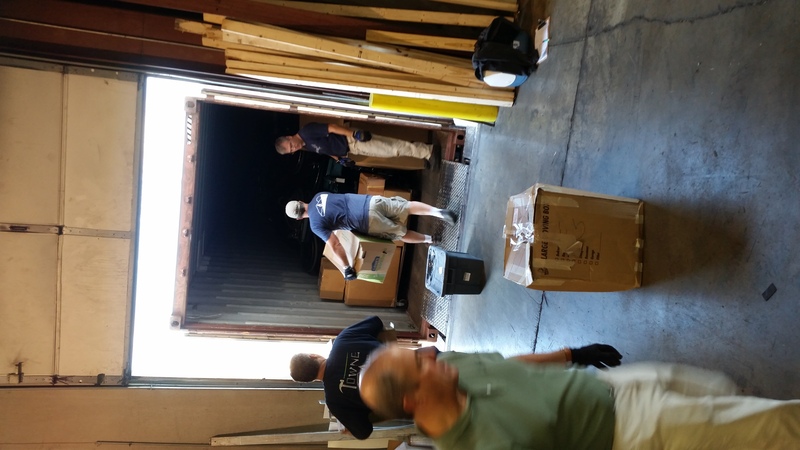 This load was a compilation of equipment that was collected by many of the Mission: Mobility team. 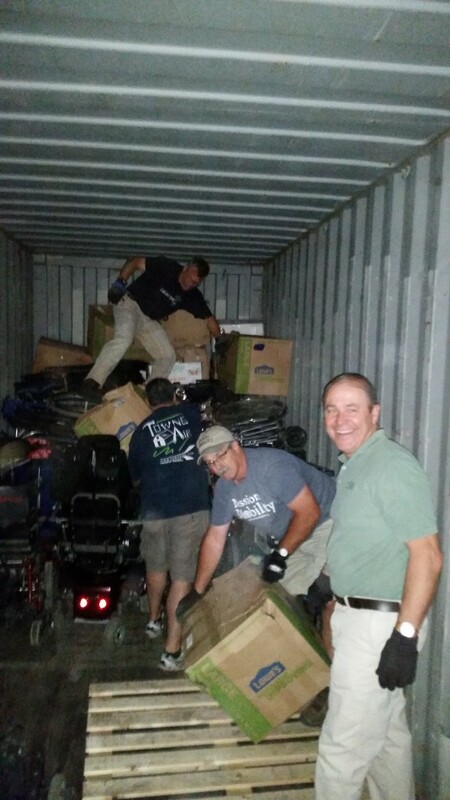 Murray, Kentucky and Jacksonville, Florida teams both contributed a significant number of chairs and other equipment to the load! Nice teamwork everyone! When sitting around the breakfast table Monday morning, I shared a scripture I had just read. Many are a plans in a person’s heart, but it is the LORD’s purpose that prevails. We all discussed the scripture, wondering what significance it could have regarding OUR plans for the morning. We soon found out. The container was originally scheduled to arrive at 9 am. We received a call from Emily at On His Path saying that the container dispatch called and said it was not coming until Tuesday. UGH! Cool heads prevailed. In his smooth talking ways, Brad called the dispatch and the container arrived around 10:30! We were finished loading by 11:30! 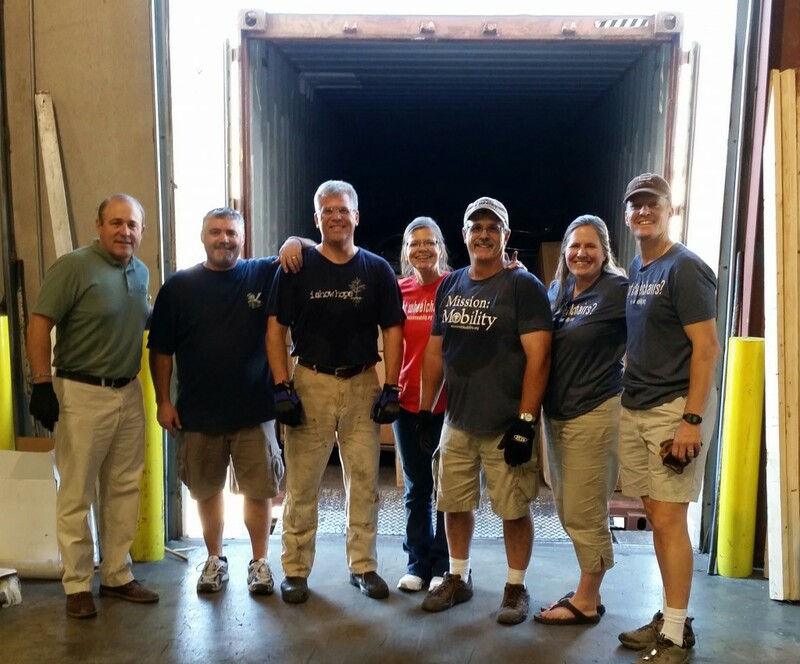 It was great to have the Mooney’s in town to be a part of the loading of a container! They are always on the receiving end. Many thanks to the entire crew! All were veterans from past Bethel Mission trips. John Forshner and Scott Graves were there. I had met them on the January 2013 J127 men’s mission trip to Tecpan Guatemala. (j127.org) It was AWESOME to see them again! David Shutt was there smiling the whole time. David and his wife Carol have recently formed Open Door Ministries, a non-profit to support Bethel! 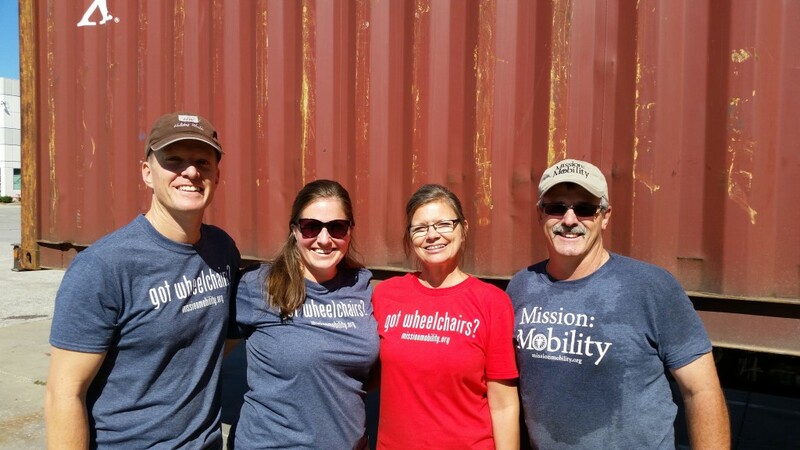 We are also humbled to note that they also are partnered with Mission: Mobility in getting the word out on our equipment collections! Great idea Open Door Ministries! Thank you for the support! Many thanks to Scott Gibson. Scott, also a Bethel veteran, is the manager of Towne Air Freight. 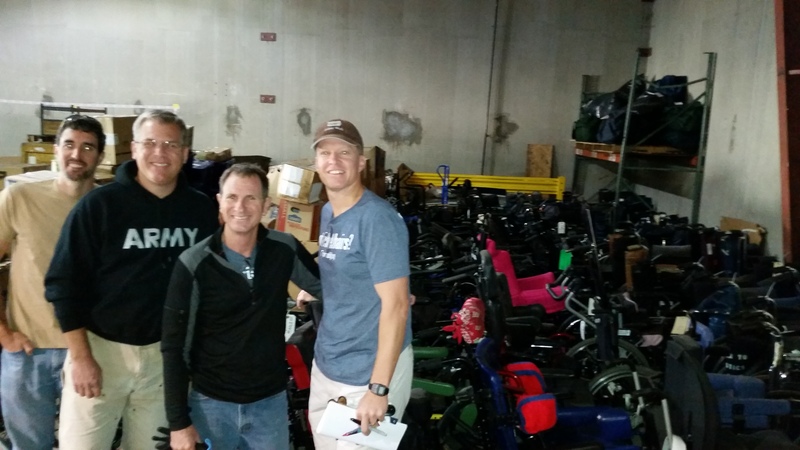 He donates Mission: Mobility the space to store and load the equipment in their warehouse! Robby Wheeler was also there. Robby, I just met this weekend. Ultimately he could be credited for my connection to Bethel and then Mission: Mobility! 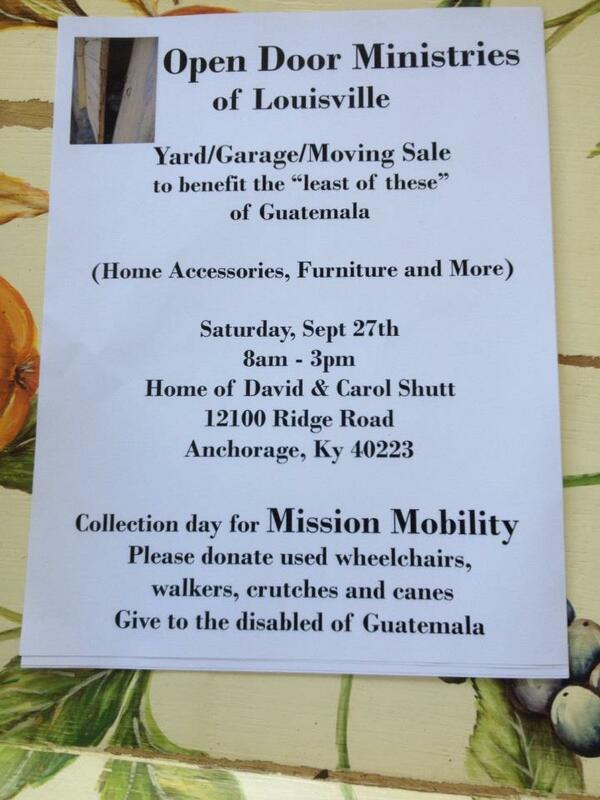 Robby and his wife led a Louisville team to Guatemala & Bethel in 2009. Much like a great oak tree, this first group has branched out and taken root over a great area. 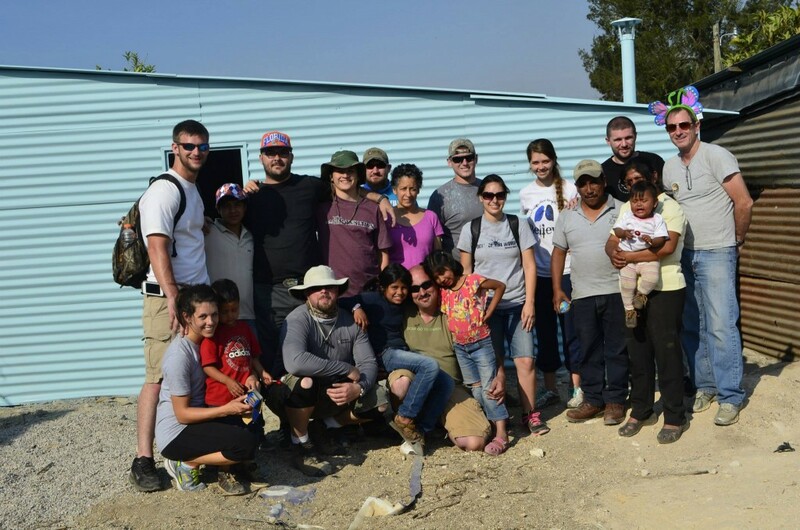 Teams from Murray Kentucky, several teams from Louisville and individuals from MANY other states are now veterans of serving with Bethel in Guatemala as a result of that first trip. whatever they do prospers as a result of this Branching! Last and DEFINITELY not least, Holly Clark and my wife Annette were there keeping us all going with big smiles and encouraging words and carrying equipment into the ever filling container! Thank you Ladies! Brad and I are both extremely BLESSED to have you working alongside us as we continue to manage and grow this ministry of Mission: Mobility. Your input and involvement is INVALUABLE!! 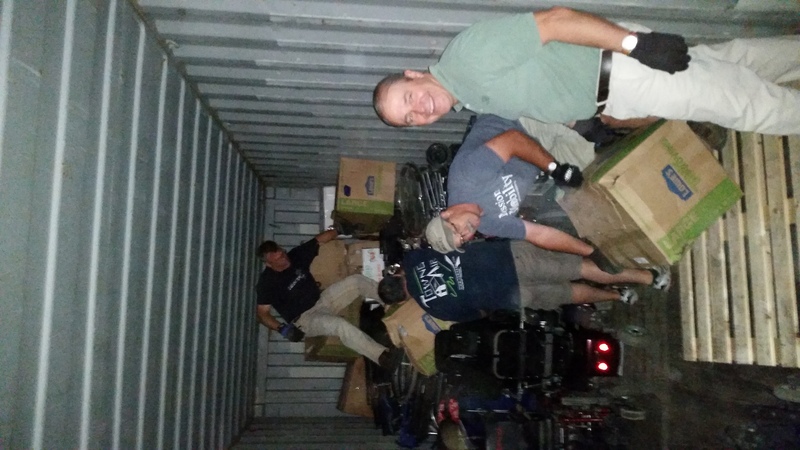 As we have made it a tradition, after we loaded the last item on the packed container, we took a few moments as Brad prayed over the equipment! A prayer of speedy travel and a prayer to BLESS the equipment. A blessing that it will Truly TRANSFORM the lives they touch….both physically and SPIRITUALLY! Thank you all who made this load possible! This entry was posted in Uncategorized on September 24, 2014 by rfultonmission.